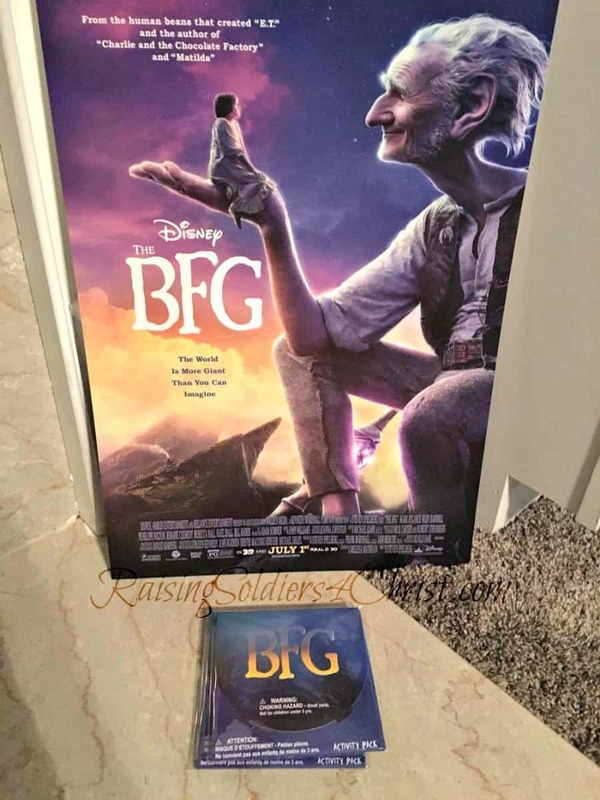 Free Printable’s for Disney’s: The BFG!!! 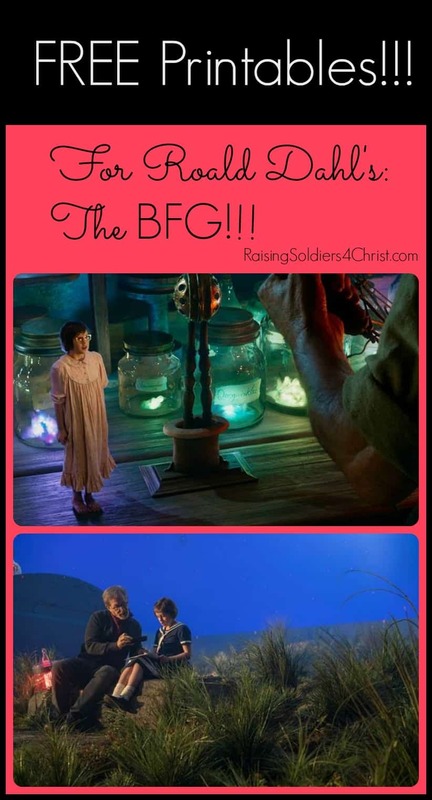 I shared recently about Disney’s The BFG that will be in theaters July 1st!!! WHOOOHOOO! Last night I attended an advanced press screening in Nashville. I took all three boys with me and all of us loved the film! While you wait on Friday to get here, I have some printables for you at the end of the post– so keep scrolling!!! Because I am also a homeschool mom, I just had to dig a bit deeper though. If you have the book on the website www.RoaldDahl.com you can download lesson plans that go along with the book! The Big Friendly Giant speaks a different language. Do you know what that language is? I’m so excited to share this answer! Have you heard of GOBBLEFUNK? If you haven’t watched the movie trailer for The BFG, check it out now! My friend, Heather, Pink Ninja Blogger, was invited to L.A. to the red carpet premier of The BFG. So head over and read her interview with Steven Spielberg! On a side note, ET was the first movie I ever saw in theaters!!! Don’t forget to get your FREE BFG activity pack! These are all awesome printable’s but I especially love how you translated Gobblefunk!!!!! Hilarious! This was and still is one of my all time favorite stories! I love Roald Dahl!